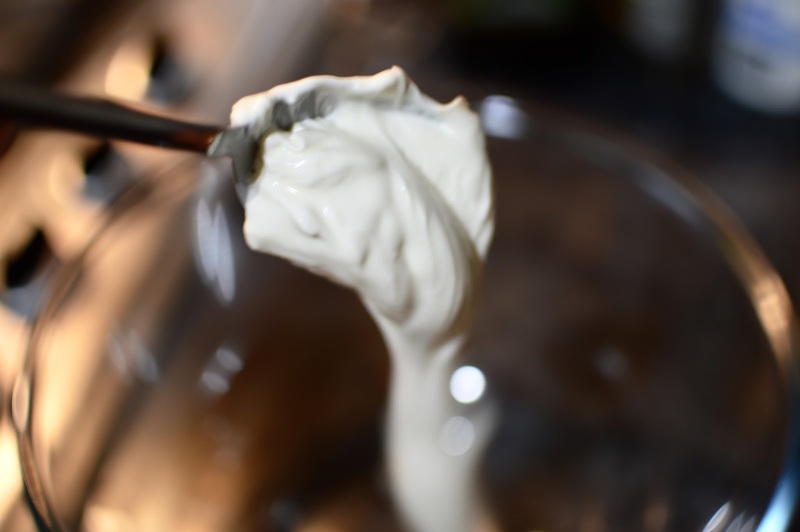 Creme Fraiche - enough to generously coat the pasta. Put your pasta on to boil, and put a heat proof bowl over a pan of gently boiling water, and add your creme fraiche to the bowl. Once that is warmed through, start adding your cheese, but be sure to keep some back for the yummy crispy layer at the end. Once this has melted, add your nutmeg and stir in. By this point you should be ready to drain your pasta, and turn on your grill to a medium to high heat. 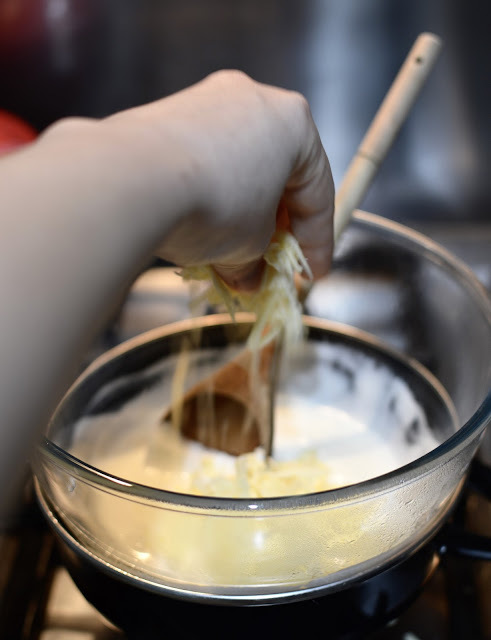 Then add your drained pasta to the bowl of cheesey creme fraiche and stir in, making sure that all the pasta is coated well. This then needs to go into an oven/grill proof dish. I really like the crispy golden cheese on top, so I used my cast iron pan so the pasta was spread thin, but you can use any dish you fancy. Use the remaining cheese to sprinkle on top, and shove it under the grill until golden brown, this will probably take about 20 minutes. Once it has browned to your liking take it out and enjoy!! Actually, you should probably let it cool a bit, if you're too eager the melted cheese will stick to the roof of your mouth and burn... I unfortunately speak from experience, I'm no good at waiting to try yummy food, especially when there is cheese involved! You can also add bacon and peas to this if you feel like getting a bit fancy! I personally am always too lazy, but this with a damn good chick flick and a glass of red is my 'home alone' go to meal!